Lake George seen from Black Mountain. The Lake George 12sters hiking challenge was founded in 2016 as a way to encourage hikers to explore the Lake George region to its fullest. Created by Matthew Haley, this hiking challenge includes 12 peaks of varying difficulty and elevation. The 12sters can be completed in a day or incorporated into an overnight camping experience. Those who complete all 12 peaks will end up hiking nearly 40 miles of trails and top 9,000 feet of elevation. We asked the founder, Matthew Haley, some questions via email about the Lake George 12sters to get a better understand of the challenge. Below are his responses and advice for any who wish to complete it. 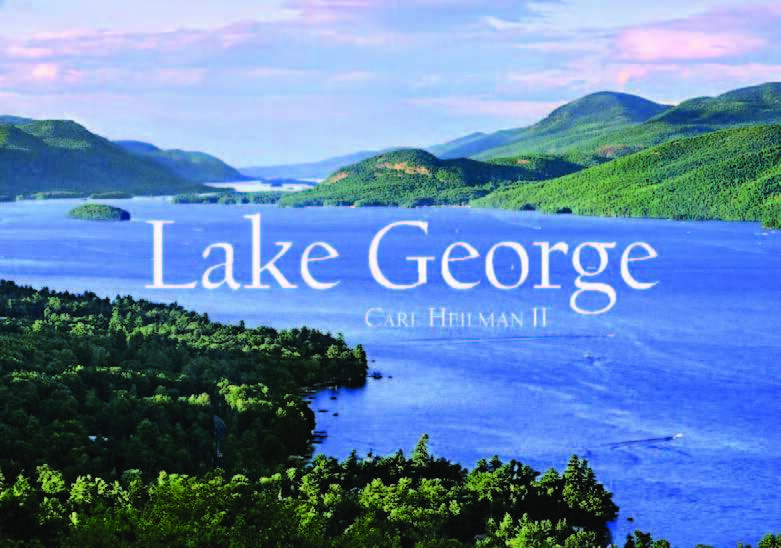 EXPLORER: When was the Lake George 12sters challenge founded? HALEY: The Lake George 12ster was founded on August 20th, 2016. EXPLORER: How do you complete the Lake George 12sters? HALEY: Summit 12 peaks around Lake George. On the west side of the lake, this includes Cat and Thomas, as well as the six peaks of the Tongue Mountain Range: Brown, Huckleberry, Five Mile, Fifth Peak, French Point, and First Peak. On the East side of the lake, this includes Black, Erebus, Sleeping Beauty, and Buck mountain. A winter, ultra, and winter ultra option are available for those that want an extra challenge. 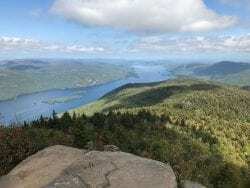 EXPLORER: What advice would you give to a hiker who wanted to complete the Lake George 12sters? HALEY: All of the general hiking safety practices definitely apply. Make sure you have a physical map of the trails with you, ensure you’re comfortable in your choice of quality footwear, and research the innumerable guides on how to pack appropriate clothing, safety, food, and hydration supplies for your hike. Often times some of these mountains are underestimated given their accessibility and location, so I cannot stress how important it is to know your capabilities, and to be prepared. If you are new to hiking, I would suggest starting with Cat and Thomas mountain. This is a well marked and well traveled destination that will get you hooked on what this region has to offer. Lastly, consider carrying a plastic bag with you to pack out any trash you may come across on your travels. It is very rewarding to be a part of keeping these areas pristine, and we truly appreciate everyone helping to accomplish that goal. EXPLORER: Are all the trails maintained? HALEY: All of the Lake George 12ster trails are maintained by the Department of Environmental Conservation as part of the Lake George Wild Forest. 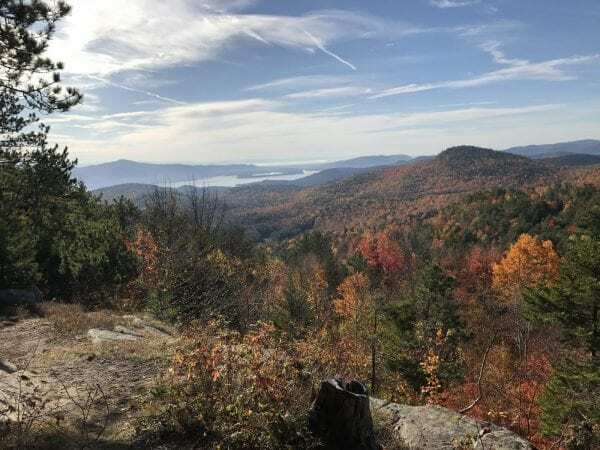 The Lake George Land Conservancy also maintains the trails of the Cat and Thomas Mountain Preserve through the DEC’s Trail Cooperative Agreement program. Numerous other organizations also take on projects in the area, such as Lean2Rescue completing work on the Fifth Peak lean-to. As an organization, the Lake George 12ster is currently exploring options for stewardship through the DEC.
EXPLORER: How difficult are the Lake George 12sters? Are they family friendly? HALEY: Absolutely. The 12 peaks vary in difficulty, but many of them have been family favorites in the Lake George region for decades. The most difficult part of the Lake George 12ster is likely the Tongue Mountain Range. This portion of the challenge may require more planning and an earlier starting time, but it is still a very reasonable day hike. There are also a few designated camping sites along the trail that can make this a great multi-day adventure. EXPLORER: Have you completed the Lake George 12sters? If so, which hike is your favorite? HALEY: I visit each of the peaks a few times a year, and I’ve completed the ultra (all mountains in less than 24 hours) as well as the winter ultra. My favorite peak is easily French Point, located on the Tongue Mountain Range. The entire range has been a favorite running destination of mine for years, but there’s something special about exiting the forest and coming into this field of grass at the summit overlooking Lake George. The best part of the hike is that the views continue all the way to First Peak. Often times this hike surprises even seasoned hikers in its difficulty and reward. For more info, visit the Lake George 12sters website.